In your experience shopping for a new vehicle, you’ve probably heard different opinions on leasing. Some people insist it’s the way to go, while others may suggest you shy away from this and purchase a vehicle instead. If you’re leaning toward an INFINITI QX50 lease when you need to drive a new vehicle in Mandeville, LA, there are few things to consider first. Make sure you go through this important checklist before you finalize your decision. What Are the Mileage Restrictions? One potentially negative aspect of an INFINITI QX50 lease is that the dealer will place a mileage limit on how far you can drive per year or during the three-year term. In many cases, the limit is between 12,000 and 15,000 miles per year. You may have the chance to purchase more miles if you have a good credit score. Make sure you know from the beginning what the restriction is for you. If you know you won’t be able to stay within the limit, you may want to choose a different option. Dealers and dealership finance specialists can give more leeway for mediocre credit scores than you’ll find when you purchase a home. However, this doesn’t mean any score will get you into a lease. You need something in the high-600s or low-700s if you intend to lease. If you don’t meet these criteria, you might need to get a loan for the next car you drive in Mandeville, LA. As you compare and contrast the pros and cons of buying and leasing, take a look at the interest rates. This could seal the deal if you can’t decide between a purchase and an INFINITI QX50 lease. Usually, rates will be lower on leases than they are on loans. In fact, it’s not uncommon to find rates below 2 percent on a lease, but you won’t easily secure a rate of below 4 percent for a loan. What Options Do You Have at the End of the Lease? The best dealerships give Mandeville, LA, shoppers some flexibility when the lease expires. Ask the dealer about options to buy out the lease or trade the vehicle for another lease. If you prefer, you may even have the chance to simply return the vehicle and walk away. Many Mandeville, LA, drivers enjoy the positive aspects of an INFINITI QX50 lease. 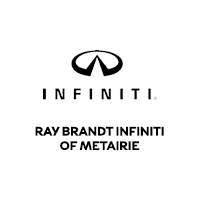 Come to Ray Brandt INFINITI and talk to an associate about your needs and preferences.